This Tagalog Version of 'Marvin Gaye' By a Beautiful Girl Will Surely Make You Fall In Love! Marvin Gaye was an American soul singer, songwriter, and musician. Gaye helped to shape the sound of Motown in the 1960s, first as an in-house session player and later as a solo artist. During the 1970s, he recorded the concept albums What's Going On and Let's Get It On and became one of the first artists in Motown to break away from the reins of their production company. On April 1, 1984, Marvin Gaye was shot to death by his own father, Marvin P. Gaye Sr. During a heated argument over an insurance letter involving the musician and his parents, Gaye Sr. shot the music legend three times in the chest. The weapon: a revolver given to Gay Sr. by his son. Charlie Puth, a famous musician in today's generation was inspired by his story and made a song dedicated to his legendary name entitled "Marvin Gaye." 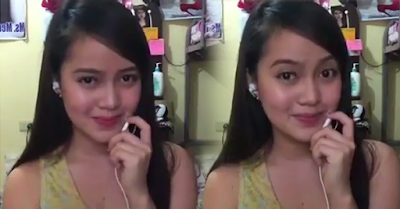 Today, a song cover from a beautiful Filipina named Kim Illagan goes viral on social media. Watch and see for yourself. People started adoring her because of her creative videos that she herself uploaded on her official Facebook account.